Computer Generated Imagery (CGI) is widely used in films and pictures. Apparently it is sometimes difficult to distinguish fiction from reality. This picture has been shared many times online as a photo often without crediting the artist. 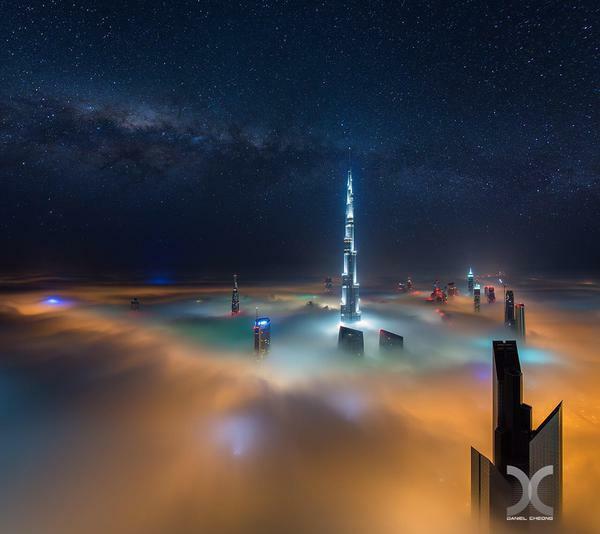 It’s a composite of multiple photos called “Dubai Galactica” by Daniel Cheong – note the 500px license. Persons sharing this picture may violate the 500px license and copyright. This picture is semi-CGI: computer software such as Photoshop was used to create the final image. ‘…You don’t see it a lot because you have to be in a specific polar orbit to get this view’ posted by @Marsrader in 20-Nov-2014. 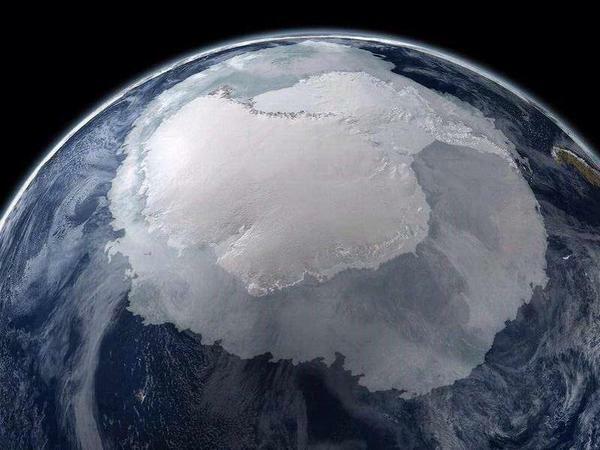 This is a NASA CGI called “Global View of the Arctic and Antarctic on September 21, 2005“. Visualization credit: NASA/Goddard Space Flight Center Scientific Visualization Studio. 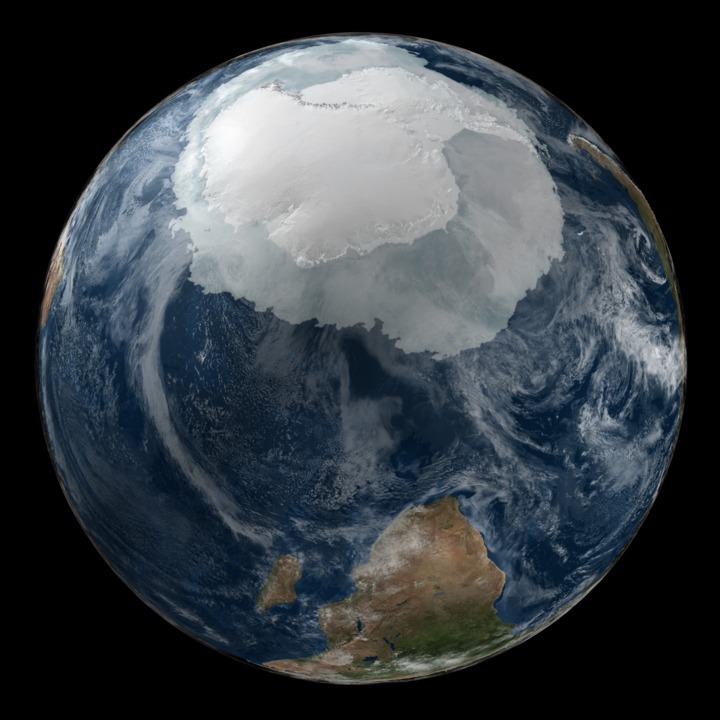 The Blue Marble data is courtesy of Reto Stockli (NASA/GSFC). You can find a hi-resolution version here. ‘#Ukraine enjoying the ‘benefits’ of moving closer to the #EU + #USA #cdnpoli Literally a black hole’ – posted by @wavetossed in 26-Dec-2014 among many others. Apparently this is related to the fact that Ukraine briefly cut off the power to Crimea Peninsula in December 2014. 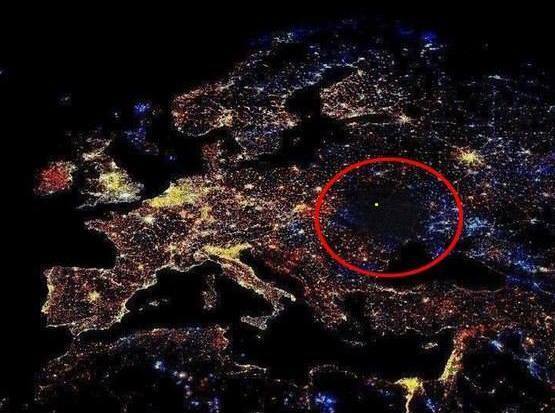 This fake CGI is based on the scientific picture called “Europe at night, 1993-2003 changes” by the National Oceanic and Atmospheric Administration (NOAA).